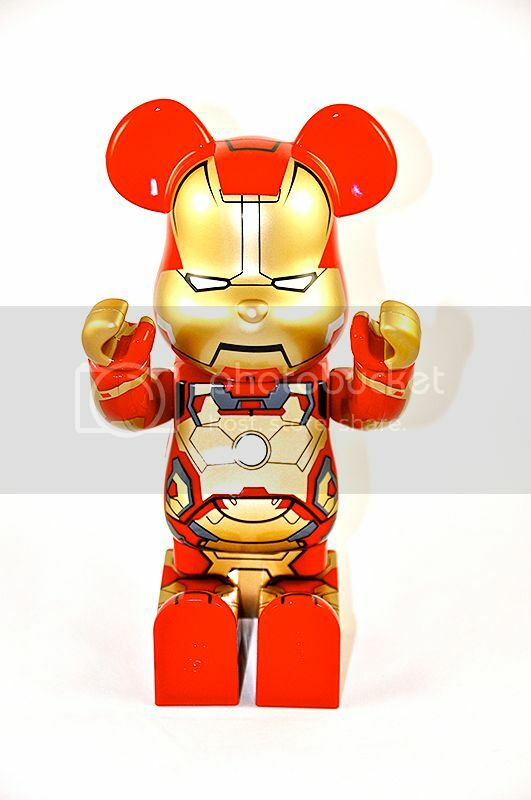 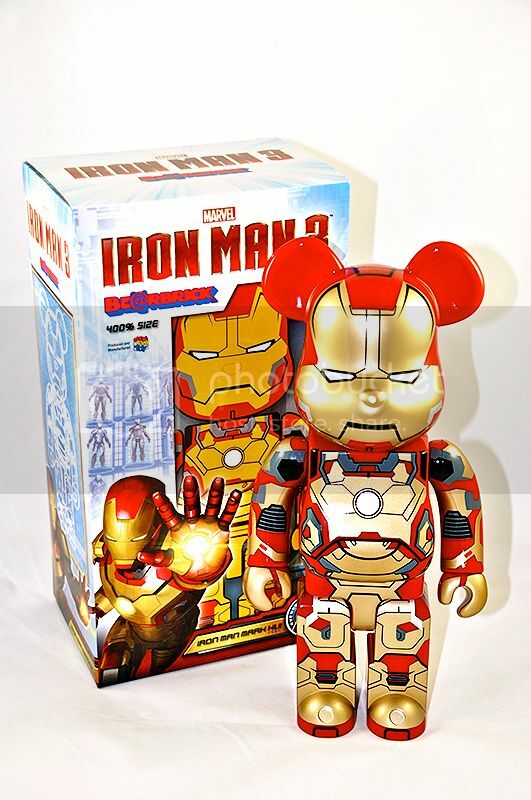 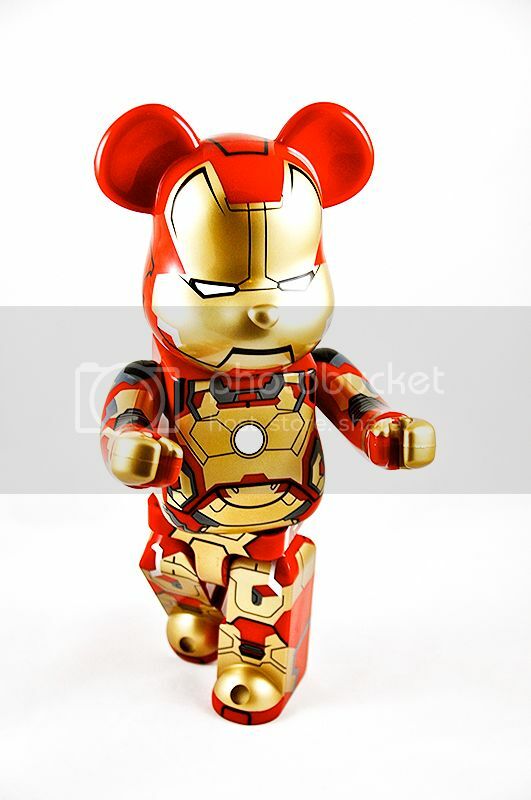 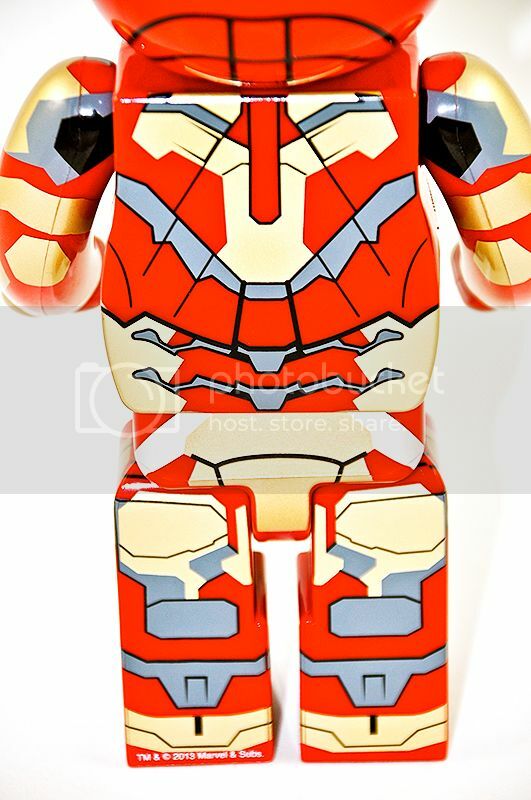 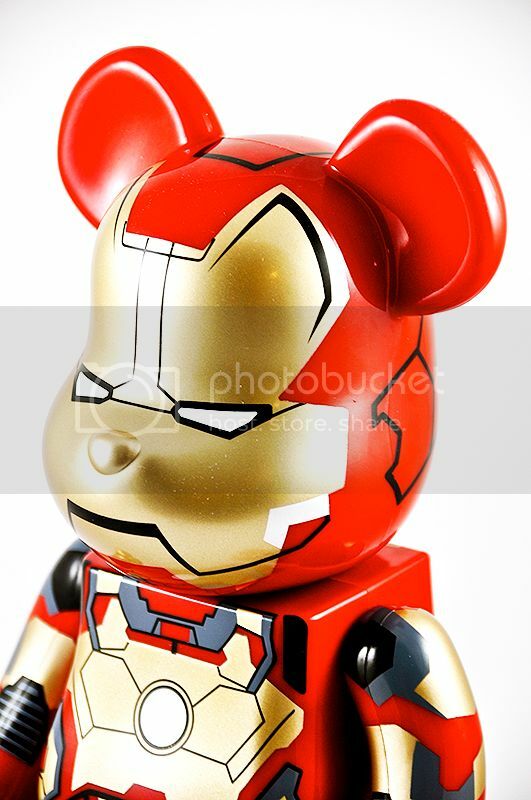 Same as the Iron Patriot 400% Be@rBrick in previous update, very nice paint detail and accurate design. 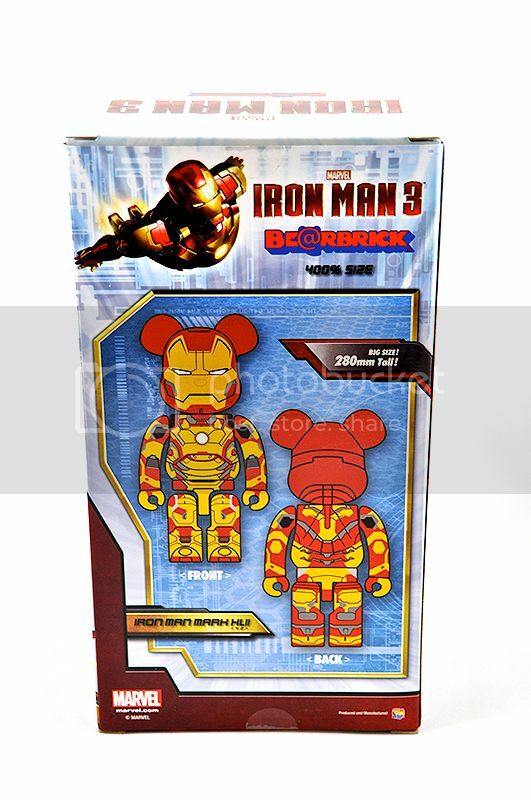 Same articulation, size, and mold with any other 400%. 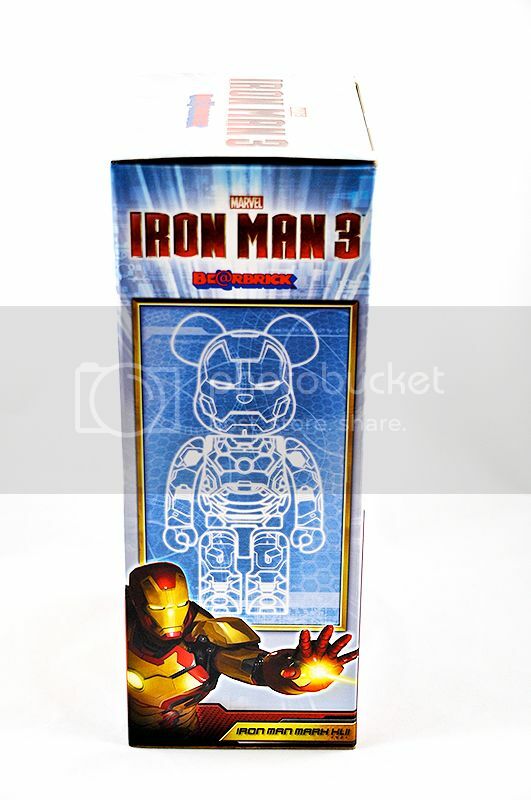 Cool thing Medicom did for Iron Man series is that they made the face mask on each armor (and for each size actually!) 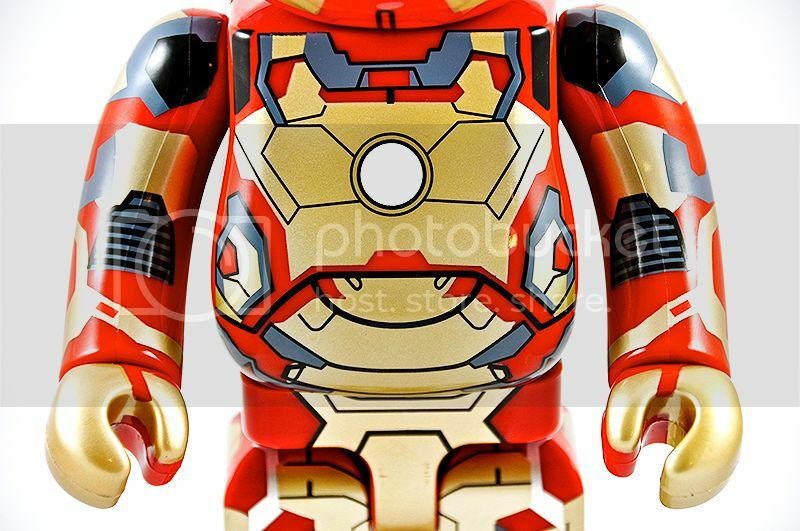 different particularly with the eyes and angles on the mouth (or rather where the bottom of the face-place lifts up). 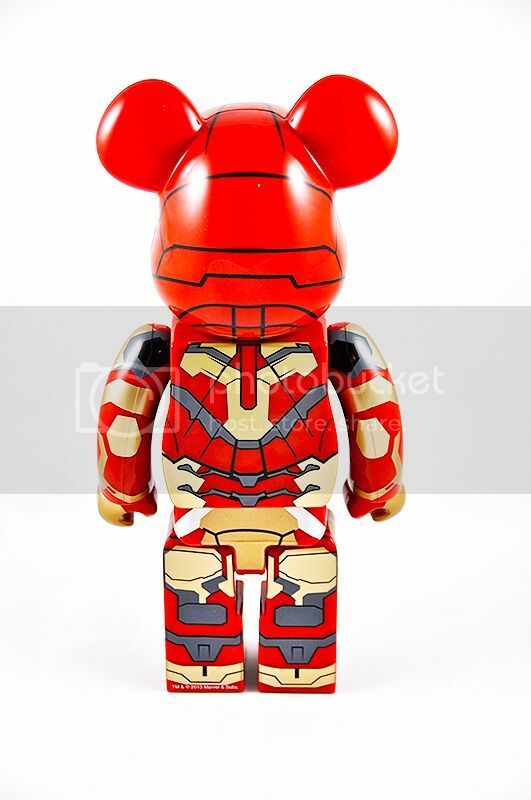 This makes it kind of worth getting all 3 sizes of the same armor…sort of. 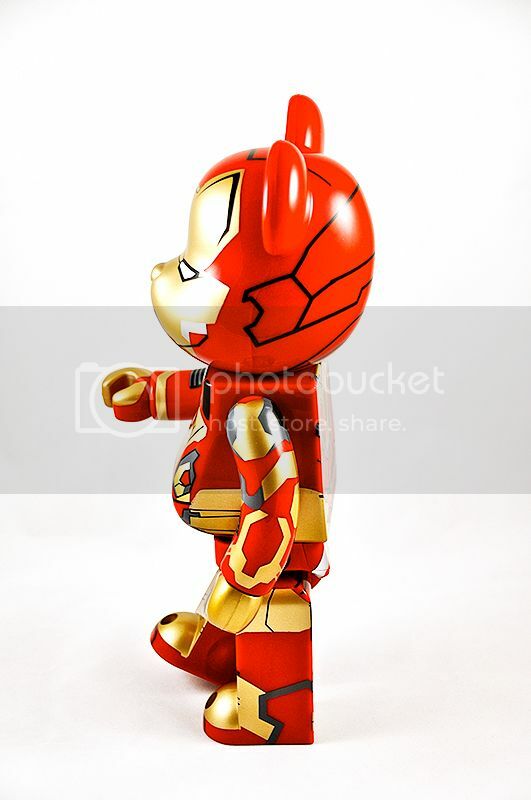 Either way MKXLII 400% stands really well next to my Iron Patriot 400% Be@rBrick! 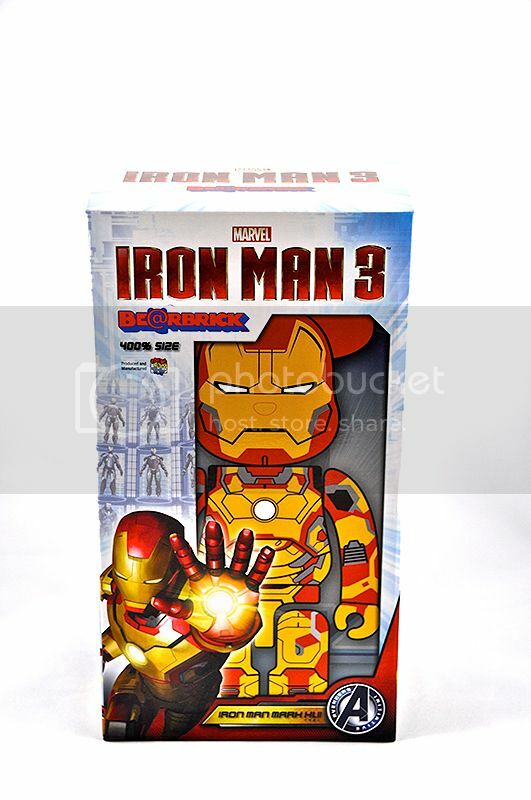 Get them all while you can!